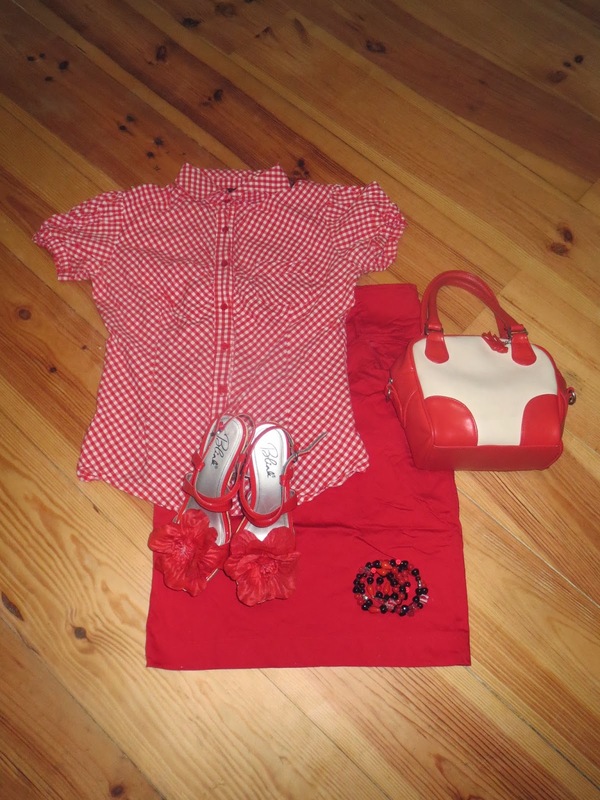 There's no way of showing a circle skirt in a flattering way, except by wearing it, but I prefer to not use any pictures of me and my family on this blog. Just the cats. But if you want an impression of what I look like, see my profile illustration. My hair is a little bit shorter and the color is a bit more dark blond, but besides that I look pretty much the same. Oh, and of course my waist isn't just 5 inches. It's 6. I found the idea at Adriana Avellar's blog. Maybe you remember some of the other pillows I made a couple months ago, also in pink, grey and green, so I didn't have to think long for a color combination. 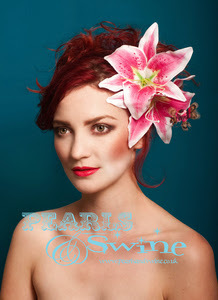 Barbara from Busy Fingers, Busy Life featured me again! 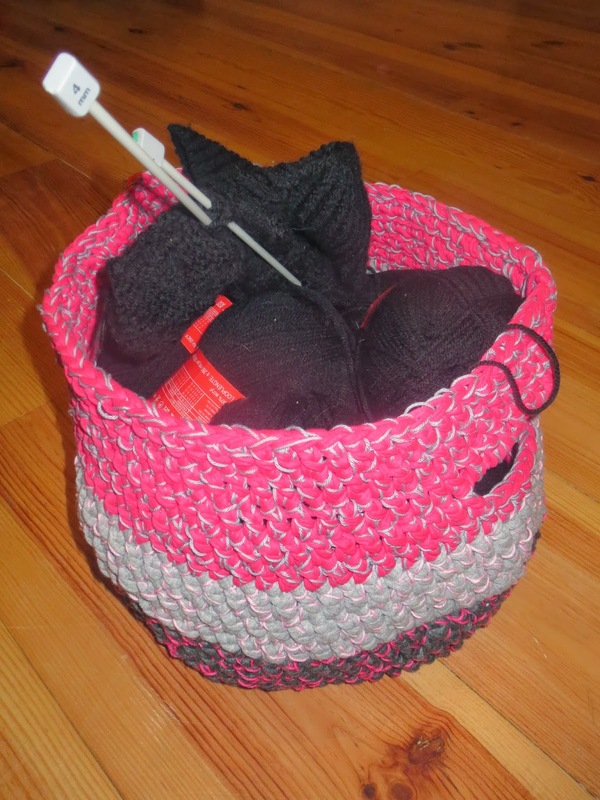 This time it's my Yarn Basket! ~*~Pam from Pam's Party and Practical Tips and Andrea from The Cottage Market and Bowdabra Blog all featured my Edible Magic Wands! Today I had a day off, but craft wise it was a very productive day. 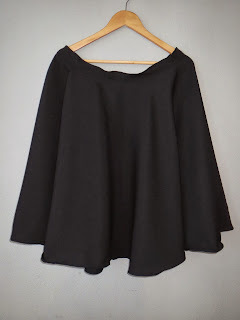 First: I ordered new fabric for another skirt. No pencil this time, but circle. 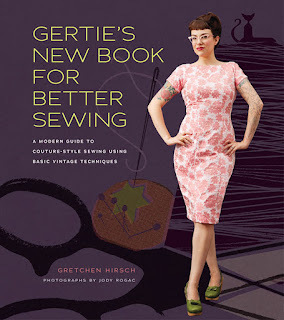 Again from Gertie's book. 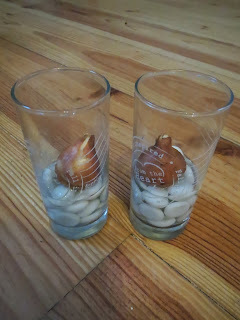 Second: I planted some tulip bulbs in a glass. Hopefully they will grow until blooming. Third: I made more Lavender Sugar Scrub, since mine was finished again. If you want to make your own, you can find the recipe here! Fourth: I baked a Chocolate Cake with Cranberry Cream. Super delicious! 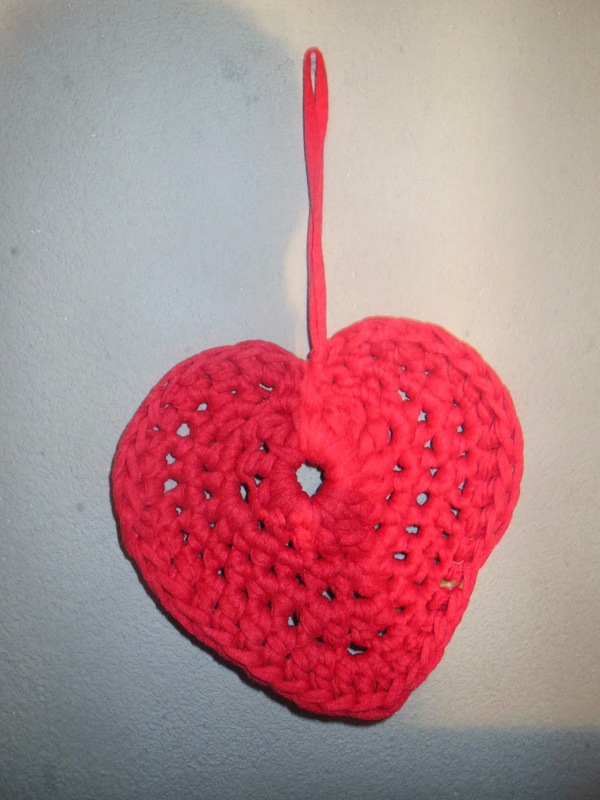 After crocheting the Big Red Heart with T-shirt yarn I made a smaller one with normal cotton yarn to use for a card. Very simple, but I like the result! 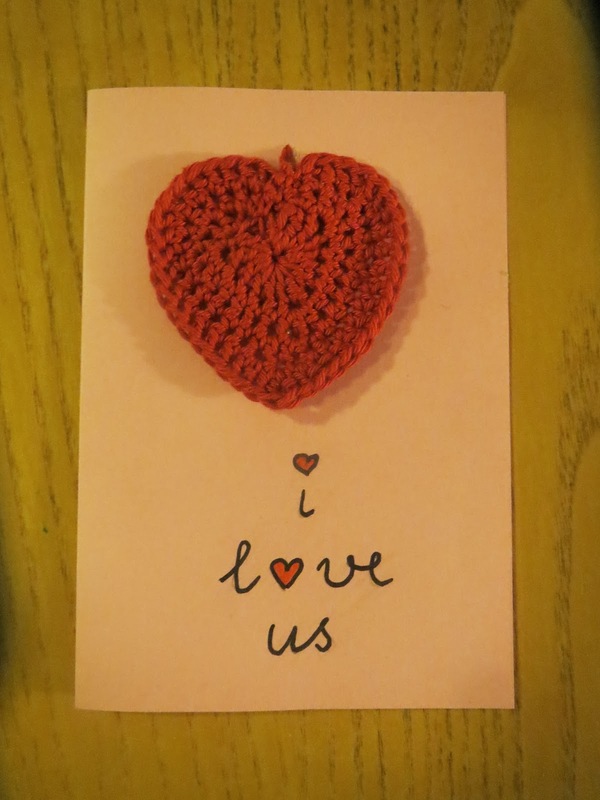 Made of T-shirt yarn, achievable in less than half an hour. 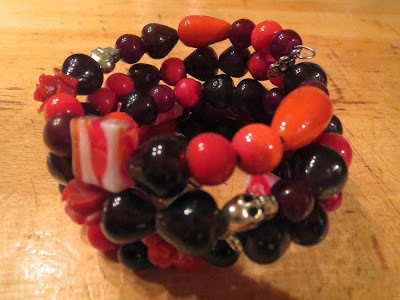 My Bracelet was featured by The Cottage Market! 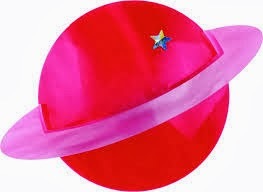 Because I just love planets! For my youngest daughter's birthday, this weekend, I had to make some treats. A while ago I saw a really great snack, but I can't remember where (so if you are the one who came up with this fantastic idea contact me, so I can give you the honors). I kept it in mind to use it later for my daughter's birthday party. So simple to make. Just take Italian bread sticks, melt some pink raspberry flavoured melts, dip the sticks in it and pour some sprinklese on them. 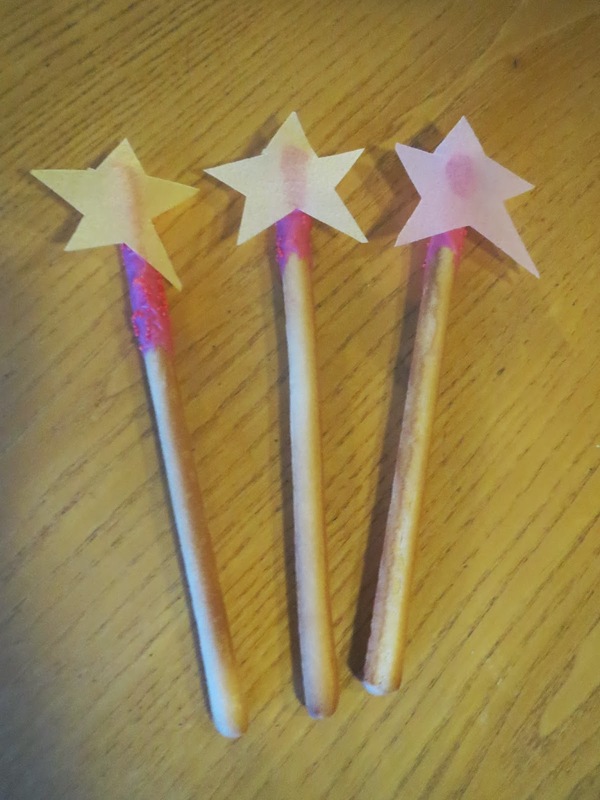 Take edible paper and cut stars out of it and stick them on the wands. Whenever I'm busy with crochet or knitting projects, there are plastic bags full of yarn laying around every where in the living room. Not exactly living room eye candy, so it was about time that I made a basket to keep all the balls of yarn together. 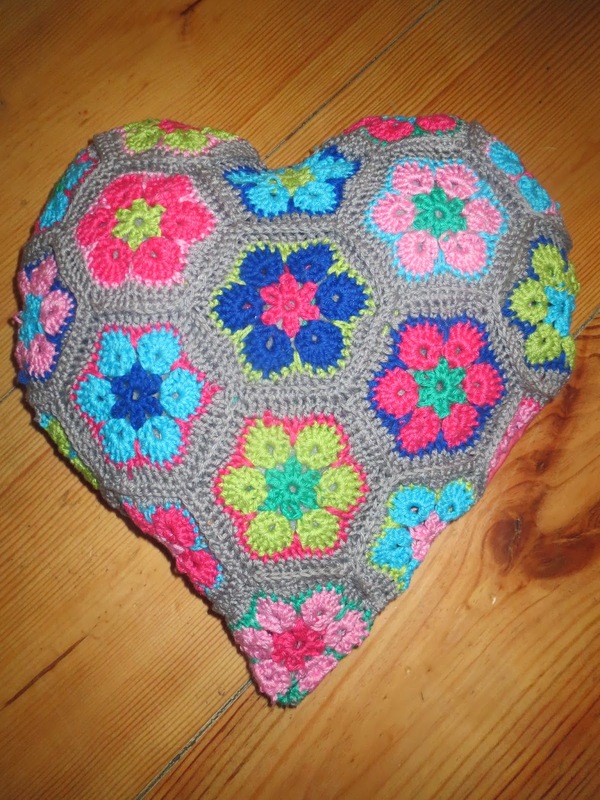 It's made from T-shirt yarn that I crocheted together with normal cotton yarn to make it a bit more colorful. Well, at least my cat likes it. When I was pregnant, a couple of years ago, a friend gave me a 'breast feeding bracelet'. It had little colored beads, 12 beads with numbers from 0 to 12 on it, and a tiny baby feet pendant. Every time I fed the baby I had to shift the feet pendant to the next hour I had to feed, so I could never forget at what time my baby had her last meal (not that I ever forgot that due to breasts that were almost exploding when I had to feed again, but the idea was nice). This week I found the bracelet again and since I stopped breast feeding a long time ago, I recycled some parts of the bracelet and made something entirely different. ~*~ My Hama Snow Flakes were featured this week by CRAFT! 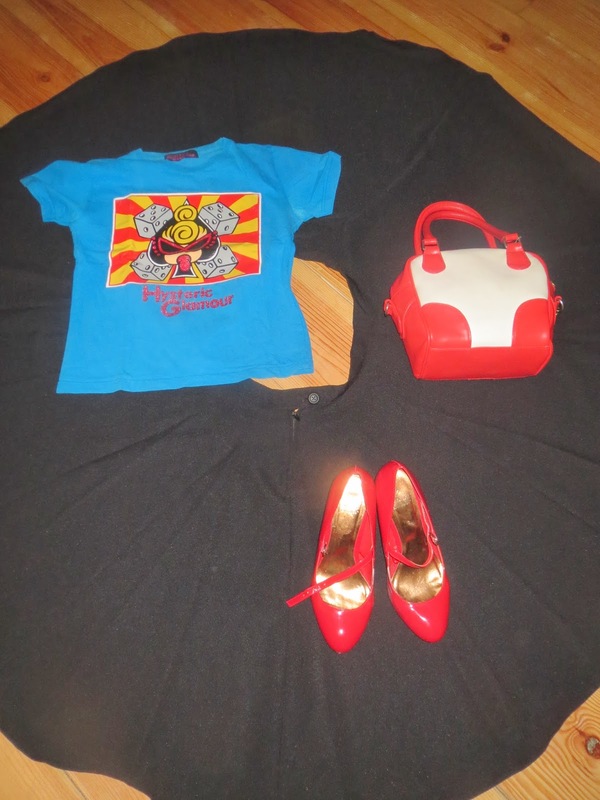 ~*~My Birthday Skirt for my youngest was featured by A Round Tuit! 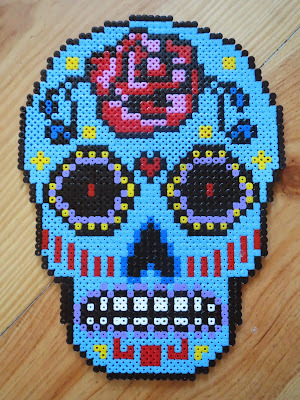 A couple of weeks I made some X-mas decoration with Hama Beads and I'm still a bit enthousiastic about the whole concept of melting beads together and making every nice decoration you like by doing so, so I searched on the internet for a pattern for another favorite of mine: the Sugar Skull. And I found one on Etsy, here. A real pretty one, actually. In just one cold and rainy afternoon I finished it.